My heart sank. I got a warning message from my good friend in Istanbul, just a week before my scheduled trip to spend my birthday there. 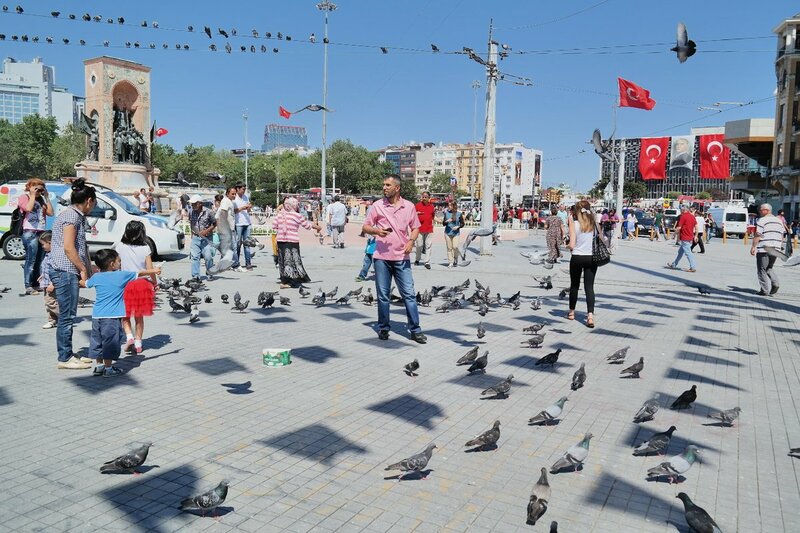 There’s a protest-gone-wrong in Taksim Square, and things didn’t look good. But of course, if you tell me I can’t, I will prove it otherwise. So, I told my friend, unless the airport’s close, the world’s end, or something like that, I will still stick with my plan. Besides, I know how things can easily getting exaggerated. My last trip to Bahrain and Egypt shows that everything’s perfectly ok there, despite the media or even social media somehow shows bloods, people screaming, something burning, but none of them seen either in Bahrain and Egypt when I was there. 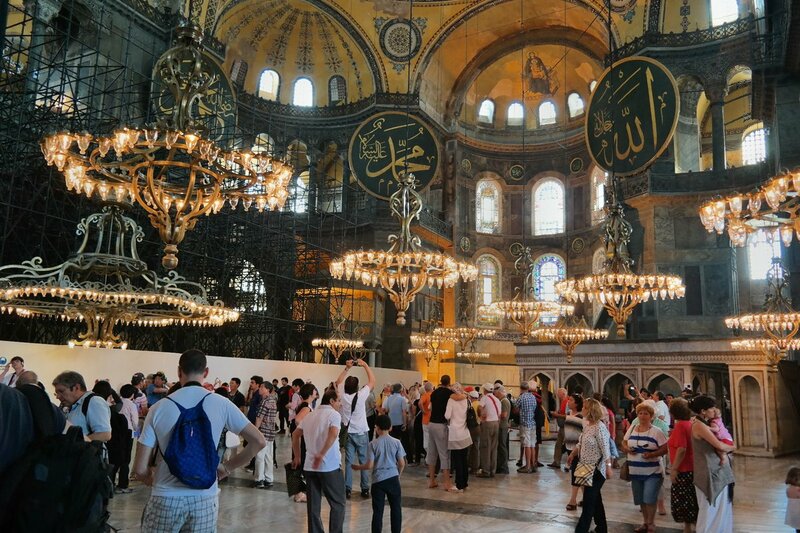 So I was confidence with my Istanbul trip, and turned out, in all 5 days trip I saw no sign of violence. Only beauty and serenity. 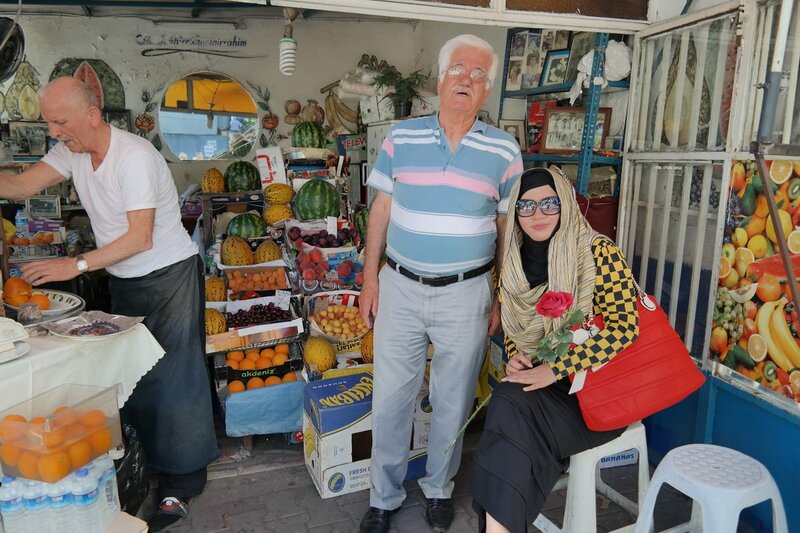 Istanbul is special for many different reasons. It must be one of the most beautiful cities, if not the most beautiful city, I ever visit in the world. Such a perfect combination of East and West. 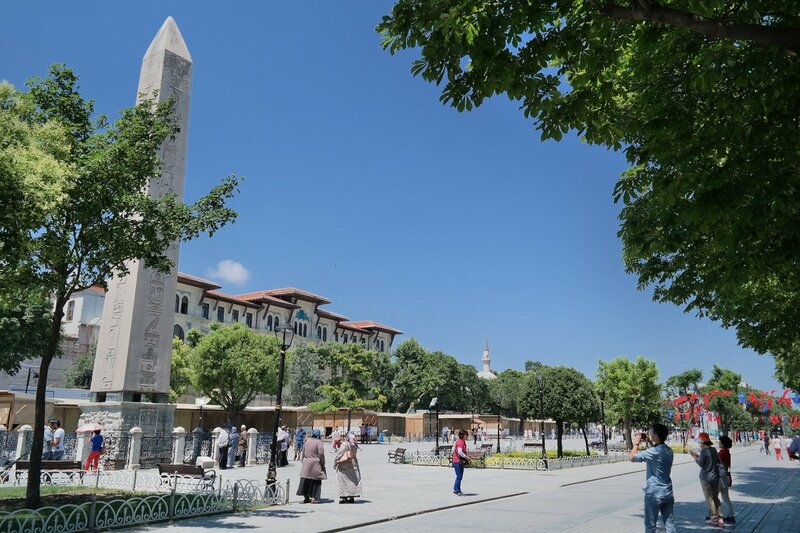 The hotel I stayed in Sultanahmet area, crammed with historical sites like Masjids and Grand Bazaar from 1500s, even 360 AD piece like the The Obelisk of Theodosius, ancient Egyptian obelisk, erected just beside Hagia Sophia in Hippodrome of Constantinople to celebrate Pharaoh’s victory. The obelisk looks exactly like the one I saw in Karnak Temple, Luxor, Egypt. How on earth they can bring the similar Obelisk here is beyond me. While walking, it’s very easy to stumble upon some ‘under the radar’ beautiful old Masjids. It’s like finding a hidden treasure. 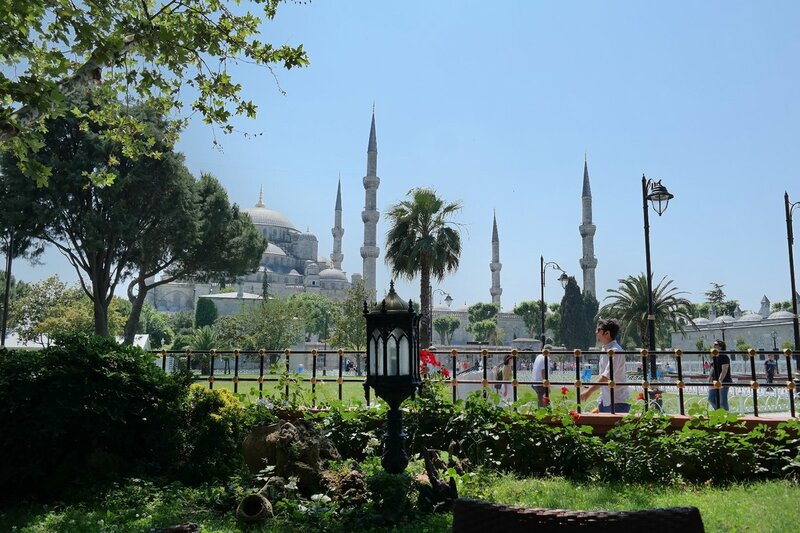 Blue Mosque is heavily packed with tourists, it’s overrated. 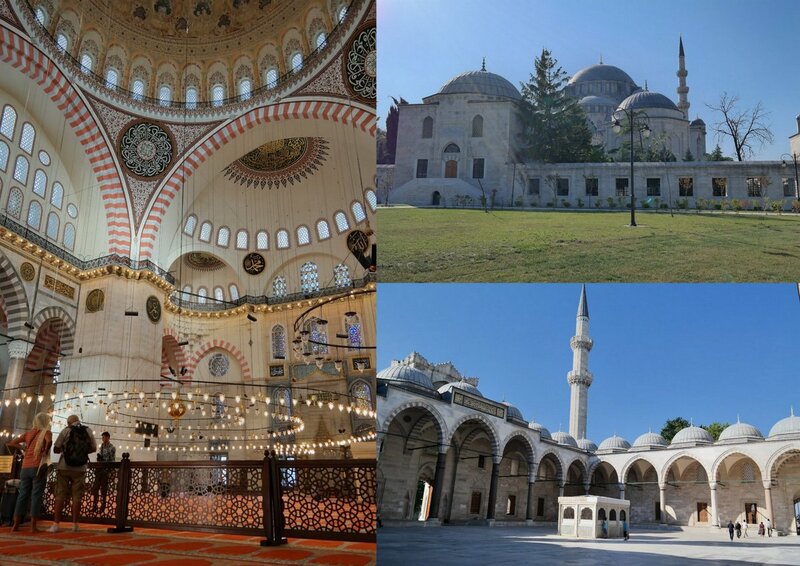 My favorite Masjid was Hagia Sophia and Süleymaniye Mosque. It was big, beautiful with amazing details, and very peaceful. Sometimes I confused on how they did it, create a grand masterpiece like that, masha Allah. 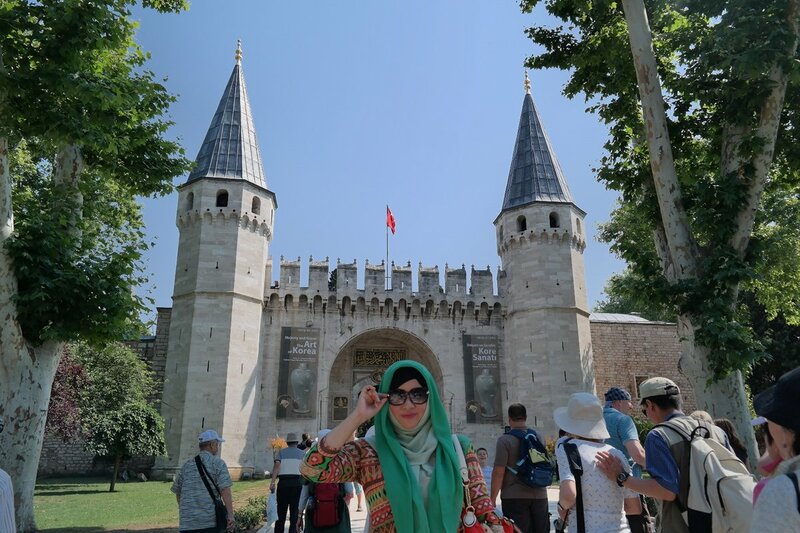 Also my favorite part of Topkapi Palace, is the place where you can see vintage stuff from Prophets, from Turban of Prophet Yusuf, to Prophet Muhammad’s footprint, swords, and hair. I felt a rush of sadness, the same feeling when I visit Prophet Muhammad’s house in Masjid Nabawi, Madinah. I really miss him that much. 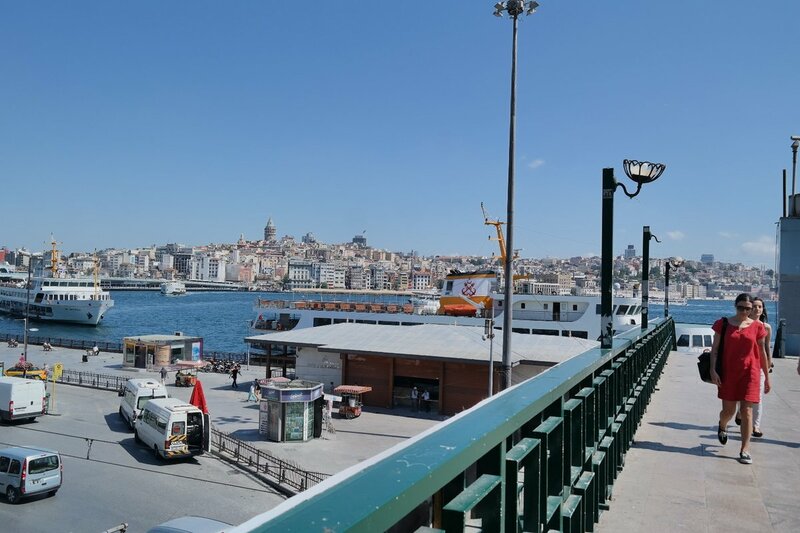 Back to Istanbul, still on walking distance, there’s a Bosphorus strait and bridge that connect the Asia side of Turkey to the Europe side. The view is just breathtaking. Since this is my birthday, I was fortunate to be able to spend it with my Faisal. 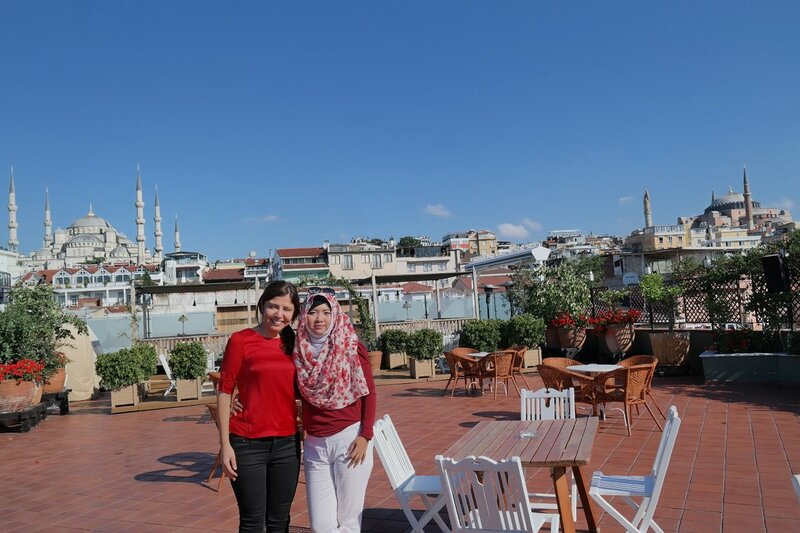 We enjoyed our trip to Bahrain last January and we decided to do that again in Istanbul. There are plenty of good looking Turkish man and woman in Istanbul. As normal people, we admire what we saw along the way. I’ve learned that, when everybody, like the beggar, waiter, fruit seller, students, hotel staffs, manager, business owner, look handsomely same, then you realize that you need to find another perspective to choose a partner. Because looks alone won’t matter anymore. Some recommended place to eat, try Konyali Lokantasi at Topkapi restaurant for their best Bosphorus view, Havuzlu inside Grand Bazaar for their various creamed eggplants, 360 Istanbul for their magnificent night view, breakfast at Armada Hotel Terrace for some view of Blue Mosque and Bosphorus strait in the same time and of course don’t forget Turkish delight and traditional Apple tea in Hafiz Mustafa 1864 at Sirkeci. To get around, the first 2 days we spent walking like a real tourists, because that’s what we thought real tourists would do. Then we realized that our energy level is not that much, especially I’m growing old, it’s my birthday, remember. So we switch to taxis. Then we found out, that taxi fare, like many other things in Istanbul, are expensive. After observing people, finally we manage to find the best solution: using tram. It’s very easy, with 3TL token (like $1.5) we can go wherever we want in the tramway, which covers almost every important spots. 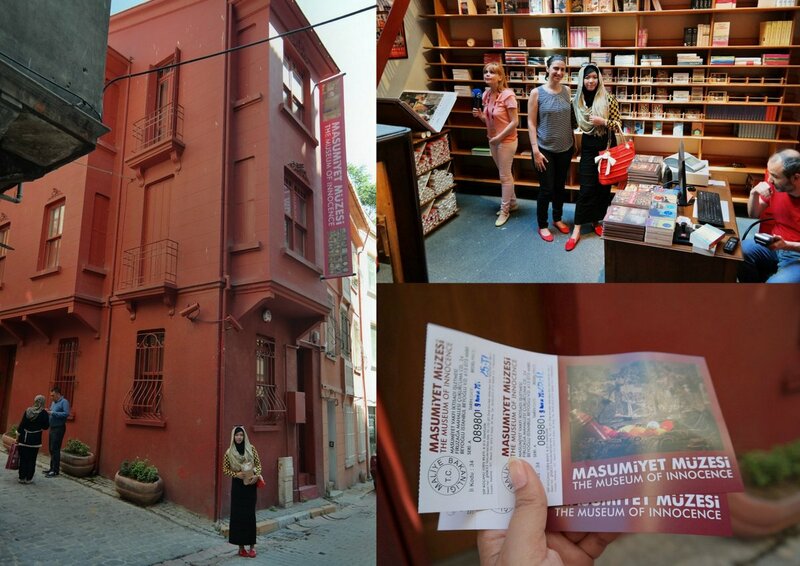 Then we also visit some unique place like Museum of Innocence, a Museum built by Orhan Pamuk, based on his novel with the same title. I wrote down the Museum address, someone told us we need to go to Taksim and walk from there. 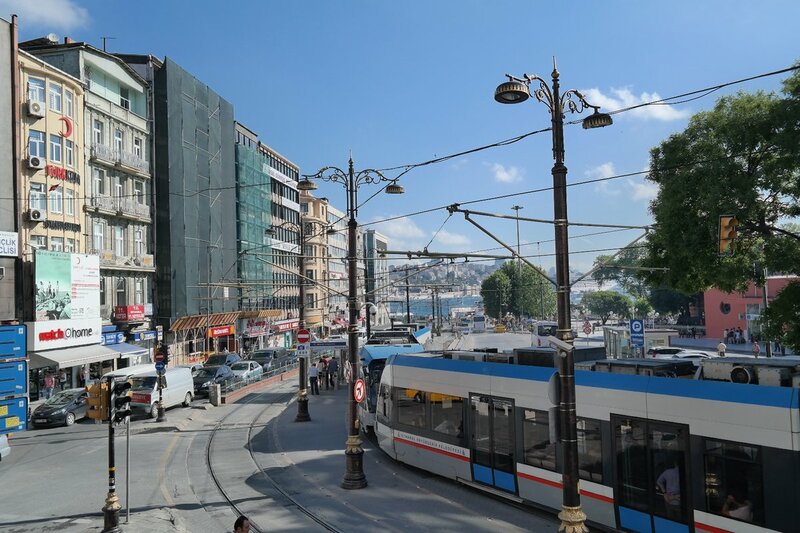 Clueless, we use the tram to its last terminal, and walk to Metro headed to Taksim. When we finally reached, we can’t took pictures inside. But basically the museum is a collection of stuff a man collect from the woman he love. The first floor displayed hundreds of lipstick stained cigarette butts from the lady. Second floor shows many other things, like her friends pics, all her clutter, it was a little bit creepy. F said, “This doesn’t make any sense, how can one loves that much!” – it was creepy, but totally make sense to me. Everybody has their own answer to the question, “What’s the craziest thing you ever do for love?” – for some it could be collecting stuff and make a museum, for other it can be as simple as buying tickets to a place they never been before to meet their lover, with a deep trust that everything’s going to be ok. I cried when I met my beautiful friend S on Thursday morning. It’s the combination of beautiful scenery and meeting her for the first time overwhelmed me. Internet connects soulmates, even when he/she is thousands miles away, this is what’s happened with me and S, and I’m grateful for the day we finally met after years of friendship, exchanging beautiful words and our love for Rumi via email. I tried to pay my curiosity on sufism by watching whirling dervishes performance in HodjaPasha Culture Center. I saw all these grownup men in white dress and high hats shed their tears. They’re not just circling, they become one with God, remembering where they come from. Touches my heart. 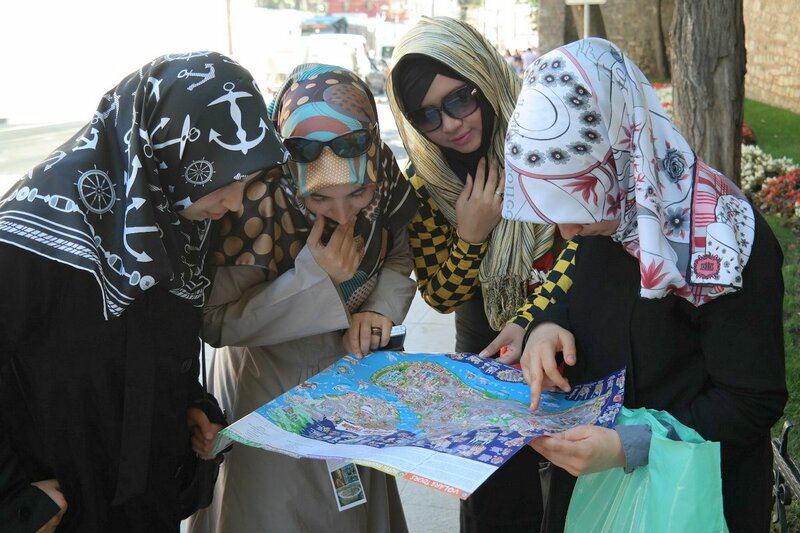 Like I said, Istanbul is special in many different reasons. 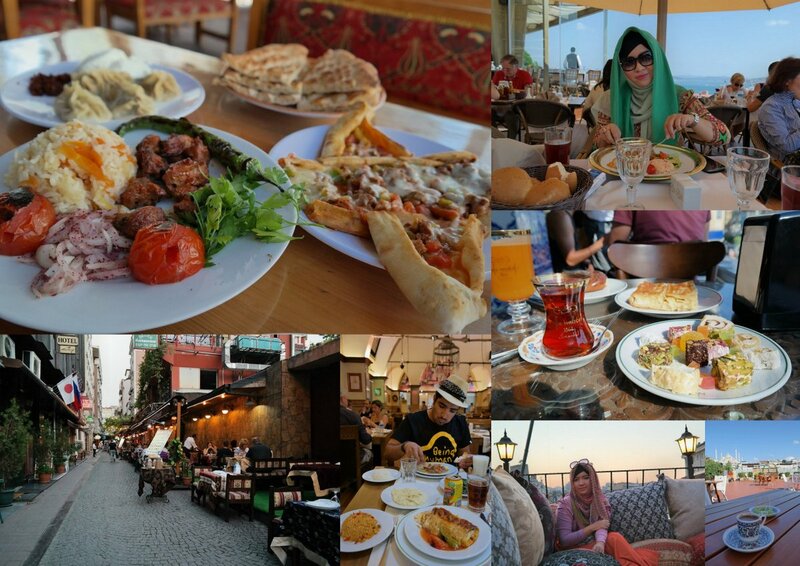 We enjoy our dinner at the fancy 360 Istanbul, watching Istanbul city lights at night, with the orange looking minarets from the Mosques and sparkling Bosphorus strait twinkling from afar. There I was on my birthday night, in the most beautiful city in the world, with the handsome guy I love smiling in front of me: Alhamdulillah, what more one can ask for? Istanbul was unforgettable, but I know Allah still has many other gifts for me. May Allah grant me abundance and lead me to some more beautiful adventures in my life, insha Allah. Ps: Thank you friends for hundreds of birthday wishes I received on Facebook, Twitter, Text messages, etc. I read everything and deeply touched with your kind wishes. Pss: All pics were taken with my new Samsung NX300. It really helps me a lot because I don’t have to carry lenses for different purposes. This one camera was enough for all kind of shots in my trip. It’s easier because it’s lightweight either. Recommended! ollie you have been informed very complete once.